IVOL has made managing my vacation rentals so much easier!! The entire booking process has been streamlined when we started using IVOL, but the number one thing I love about using IVOL is that it allows me to advertise across several advertising platforms and it doesn't "lock"me into choosing one site to take all my reservations through, it is effectively the "cash register" and I'm free to advertise on all the other "advertising" sites and direct my guests to IVOL. The entire staff at IVOL is also extremely helpful and always willing to answer any questions I may have about the software. They also helped me create my own personal website to display my properties. I can't say enough good things about IVOL, but especially how helpful everyone is that works with IVOL. I wanted to take just a moment to thank both of you for your support during 2012. The software operated flawlessly, you were both available at a moments notice. It made my first year much easier. You both did a great job. Where do you find these people? I want to take a minute of your time, just to let you know my opinion of your staff, primarily Len La Luna and Gail Wilkymacky. I briefly met Gail at your Pigeon Forge seminar this past year and have not had the opportunity to meet Len as of yet. Unfortunately, I invested in real estate over the past 10 years and now I have to work at it to keep the banks at bay. I have spent many hours trying to better my position in the cabin and condo rental arena. Where do you find these people? I retired after being a salesman for 38 years and have almost always been in a position of having absolutely no support staff. Basically, I experienced an attitude of "that is not my responsibility" or "when I get to it". I'm reminded of an old Jackie Gleason Honeymooners show, where Jackie would always put his foot in it then tell his wife either "you're going to the moon" or "honey you're the greatest". Well, Len and Gail are the greatest. I have never had the opportunity to work with professionals that had such a "can-do" attitude. What a pleasure and I'm confident the rest of your staff is of the same caliber. Where do you find these people? My little corner of the cabin and condo rental business would be impossible to compete very successfully without ivacationonline and people like Len and Gail. Thank you for sharing them with us. My first property I used a management company that took 40% of my sales. When your trying to make 5-12% on your properties this puts you in a negative state real quick. I met an ivacationonilne.com customer who told me about the software. I signed up and never looked back. 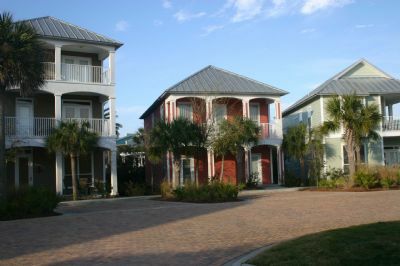 I actually bought more rental homes based on that I could manage them with ivacationonilne.com. The staff at ivacationonilne.com is updating and adding new tools all the time to improve the software. It has all the bells and whistles to help you manage your rental properties. I wouldn't have 8 propeties if ivacationonilne.com didn't help me keep track/manage them. 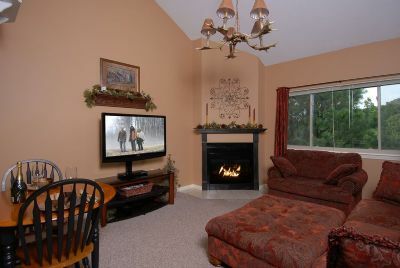 I can't say enough how ivacationonline.com has dramatically changed my vacation rental experience. My 3 friends and I purchased a Gulf Coast condo in 2009 and had struggled for the first rental season with sloppy housekeepers, poor management, lack of rentals, etc. all due to our poor management company. While I was advertising on other sites e.g. 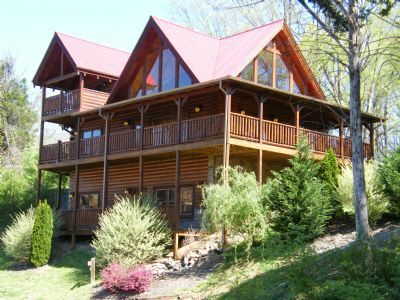 VRBO and vacationrentals.com; I was still funneling all the bookings through the manager and paying a hefty commission. In January 2010, we fired the management company and switched to a new one. They offered us the world, and we got ZERO bookings from them. Again, I was doing all the work. Around April of 2010 I found your site and spoke briefly several times with Joe by phone. Having the owner personally call me was a HUGE plus. Within 2 weeks we were up and running. Having access to the damage insurance was the only reason we had stuck it out at this point with the other companies. I continued to advertise on other sites and got my site with ivacationonline.com up and running. We opted to filter a few rentals through our site and still keep a few through the management company. By the end of April I had my summer mostly booked and was moving full speed. The oil spill occurred and we never faltered. 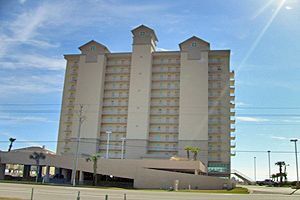 We continued to book our Gulf Coast unit while the management company blamed the oil spill for lack of rentals. By mid June I stopped sending my referrals to the management company and we have been booking through ivacationonline.com ever since. I have since referred one friend who has a townhouse in Colorado, and am currently working with two friends to get their beach condo's up and running. 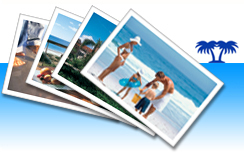 With ivacationonline.com there is no need to pay anyone a commission any longer and the rental experience as the managing partner is so much easier! Ivacationonline lets me sleep easy every night--no more worries about double booking and I have up-to-the-minute data on our rentals. I doubled booked once and I vowed this sort of a stressful situation would never happen again. Less than a week later, I signed up with ivacationonline and I can say it's been a breeze to manage our properties since then. Ivacationonline makes you look professional in your communications, simplifies the management process and puts you in charge from wherever you have internet access. Plus they make continuous upgrades and improvements to the system, which I really appreciate. I was skeptical at first due to the cost and the time to set it up, but it wasn't all that hard to do and later I realized the investment was in me and my quality of life. 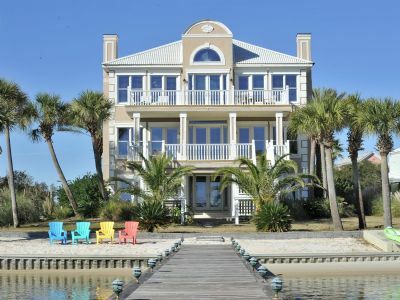 If your vacation rentals are running your life, you need ivacationonline! Just wanted to say thank you to both of you for all that you guys have done for me. Not sure if I could have done this without you guys! I did refer 2 people your way and I sure do hope they give this a try for their sake. Steve McGahey and Barbara Hernandez both have condos in my complex, The High Chalet and both are renting them on their own. Believe me I sang your praises to them!! Joe, this software is absolutely amazing! And Gail, you were so patient with me! I wanted to write and say THANK YOU so much to ivacationonline and the owner Joe Godar! This is our first vacation rental property and I quite honestly don't know where we would be without the help of Joe Godar and the incredible online system ivacationonline has to offer! I went to Joe's seminar in the midst of purchasing our beach house and then talked with him several times within the next week. He help me set up our ivacationonline site, guided me through all the many features it has to offers, and I had 11 weeks booked in the next two weeks! The online booking and lease setup really takes out alot of pressure and stress out of waiting for payments, trying to remember when payments are due, misplacing renters numbers and emails, etc. The sytem makes me feel like a professional vacation renter even though I have only been doing this for 3 months! And within this 3 month period I have booked 22 weeks! All I can say is....WOW this is Awesome!!! 1) it enabled me to fire my property manager that was taking a bite out of every booking and not delivering much in return. 2) my bookings are up over 30% this year since I started with iVacationOnline service. 3) it is completely paperless -- if people need to read the rental agreement, here it is simply done online. If you are confused about the credit card arrangement: You set it up so that the money goes directly to your bank account. You get the deposit instantly. I often stay on the phone with a prospect and talk them through the simple process of making the booking -- this way I know I have the sale. This is my first year with iVacationOnline and it has put several thousand dollars in my pocket that I would not have had otherwise. I do not know what else to tell you other than to call me, or give it a try. ...oh, one more thing -- with iVacationOnline you do not really need an independent website -- mine was already established and iVacationOnline provided all of the tools to integrate the two. ...another thought, you get lots of on line support getting set up. Joe, there is nothing that I like better than to bring people's condo shopping to a halt with the real time instant booking system. Twice this week I walked people through the simple process, the sale was mine, the money was in my bank. I am sure these people had looked at several other properties. Like Dr. John Gaier said, "You cannot motivate people, you can only create an environment in which it is EASY for them to do what you want." Nothing beats waking up to a bank deposit and another booked week. Ivacationonline is on duty twenty-four hours a day for me. Don W. with hisIVOL shirt! I am very grateful for ivacationonline.com. I am also very grateful for the time you have taken and your patience in answering all of my questions in helping me to set up and to operate the ivacationonline.com system. I simply cannot say thank you enough����THANK YOU, THANK YOU, THANK YOU!!!!!!!!! Yes, things are looking real good so far for next year, thanks to your "system" and your help! The program you have for the house web site and related documents that are e-mailed to tenants are very professionally done and give credibility to our house and renting it out. We would not be having the success we have had without your program! This past year has been our best, but we could use a better year in 2008 as expenses, such as property taxes and insurance, have gone up. If you ever need someone to talk to a prospective user, who may be uncertain of your program and the benefits, please don't hesitate to ask as I will be very happy to encourage them to subscribe. I just provided my information for the rentors.org feature.....thanks for the new feature, this will be very helpful as I often forget to update the rentors calendar! Also thank you for continuing to improve and update your program, what you are doing is great and it has been a tremendous help in advertising our house! I greatly appreciate what you have done and continue to do! 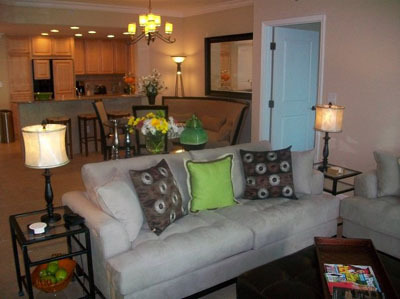 As owners it gives us the appearance of professionalism and provides convenience, especially on line booking, to renters. Keep up the good work! I have been renting my condo via the Internet for 6 years now and I am so glad that we have discovered ivacationonline.com! Using this site has simplified my life so much! I no longer worry about losing a potential customer because of waiting for a deposit check and lease to arrive. I can now book online and monitor all the information needed for rentals on one site. The spreadsheet makes tax time a breeze as well. Thank you Joe Godar for providing this valuable service! 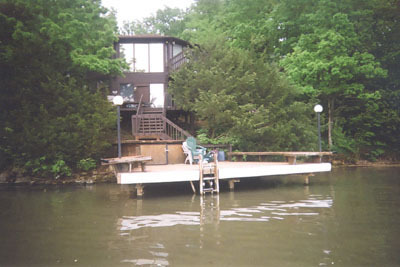 I could not afford to pay a management company 30% to 40% and still be able to afford my new vacation home. All the fears I had, have been addressed and handled. The online booking of ivacationonline.com gives me the power of the Internet at my finger tips. It is so cool to open my email and have found a booking and $3,000 has been deposited into my account. It is a seamless system that handles every aspect of this business. My guests also love the ease and quickness it provides them. I know for a fact I have gotten bookings just because it is easy to use and I take credit cards online and other owners do not. If you are interested in using ivacationonline, please e-mail me if you have any questions or concerns and I will be glad to tell you what I know. 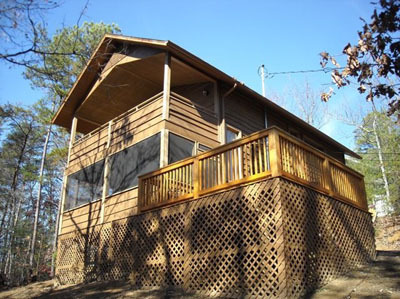 Without it, I don't think I would be willing to take on our second cabin yet. The whole process of renting by owner has been much easier than I ever expected due to the program. I just can't stress how much I believe in the program. Since I work full time, manage several long term rentals, and have 2 teenagers who are very busy, I just didn't think I could handle all the mailing of leases and returns of deposit monies the old way. I LOVE the whole system and would love to see others try it. I still spend 1-2 hours per day when I have several inquiries, but most of that is spent returning e-mails about our cabin. If I can help you in any way, let me know. There are many people on this board with lots more experience than me, but I do want you to consider ivacationonline. I'm just a very satisfied customer. Call and leave us a voice testimonial at the number below, it only takes a couple minutes! Toll-Free testimonial recording line is: 1-800-609-9006 x3205. International callers may use 678-255-2174 x3205. Recordings can be up to 10 minutes long. Or Email Us Your Testimonial.